In Classical Tai Chi we have both "cooperative" and "competitive" Pushing Hands. Use of different terminology same concepts is present in an Ang Lee film. "Pushing Hands" as the most important metaphorical concept is only explained at the end of the film. In short, the technique of "pushing hands" literally functions to allow cooperation or competition, discord or harmony Example: One can set out to unbalance, be antagonistic, competitive, actively try to push around one's partner/opponent "discord". Or one can set out to harmonize, cooperate when neither partner is actively trying to unbalance the other.Harmony is in short supply in the Chinese restaurant. It is even less harmony than exists in his son's home. Ang Lee makes expressive use of "hands" in many of the scenes but note there are no close-up shots of hands when Zhu is working in the Chinese Restaurant. Let's contrast this with the close-ups and copious use of explanation for "hands" present in Master Hwa's Tao of Martial Applications. Actually "pushing hands" with someone feels like a 6th sense ("ting jin" or "sensing/listening") and a new found method of communication between humans. How can humans not use improved communications? This film by Ang Lee explores how xenophobic hostility is transformed into harmony because of open minded cultural communication...sounds like a metaphor for crowded/open spaces. NYC comes to mind which is where this was filmed by Ang Lee. 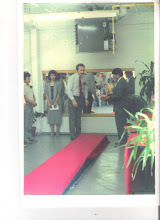 I recall as if yesterday when reaching to grip Master Hwa's hand as he told me the news of his teacher's passing. In his typical unselfish fashion he was visiting me as I invited him to teach one of my beginner classes. He traveled to Buffalo from Rochester to do this and in light of that I still feel there is no way I can relate how deeply he feels the need to pass on the art he learned from Master Young to future generations...except to continue to follow his example and do the same myself. Shortly after this, Master Hwa announced his decision to appoint the first certified teacher of Classical Wu Style Tai Chi. It is near 10 years this year as a teacher that I announced to Master Hwa and asked his permission to appoint my longtime student Sifu Tom Kostusiak as my own first certified teacher. April 18, 2015 is 10 years to the day and in memoriam of Grandmaster Young I hope you will understand as I give statements about what we do and will be doing. 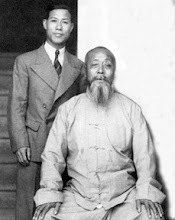 I recall statements from Eva Marie Koepsell and Master Hwa in memoriam of Grandmaster Young Wabu. It will be exactly 10 years to the day...April 18, 2005 to April 18, 2015. Read what was said in memoriam at Grandmaster Young's funeral in 2005. On April 18, 2015 Master Stephen Hwa will be working with my own promising students once again in Buffalo. This time he travels such a greater distance from Florida to do this. 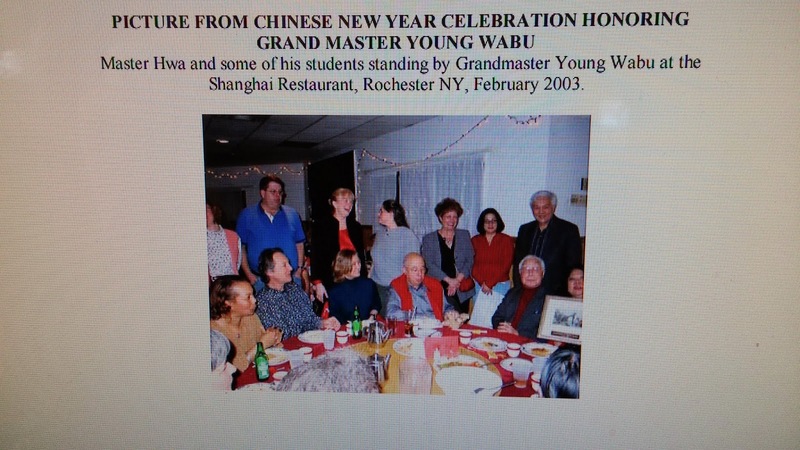 On April 18, 2005 Grand Master Young Wabu passed away at age of 101 in Rochester, NY. 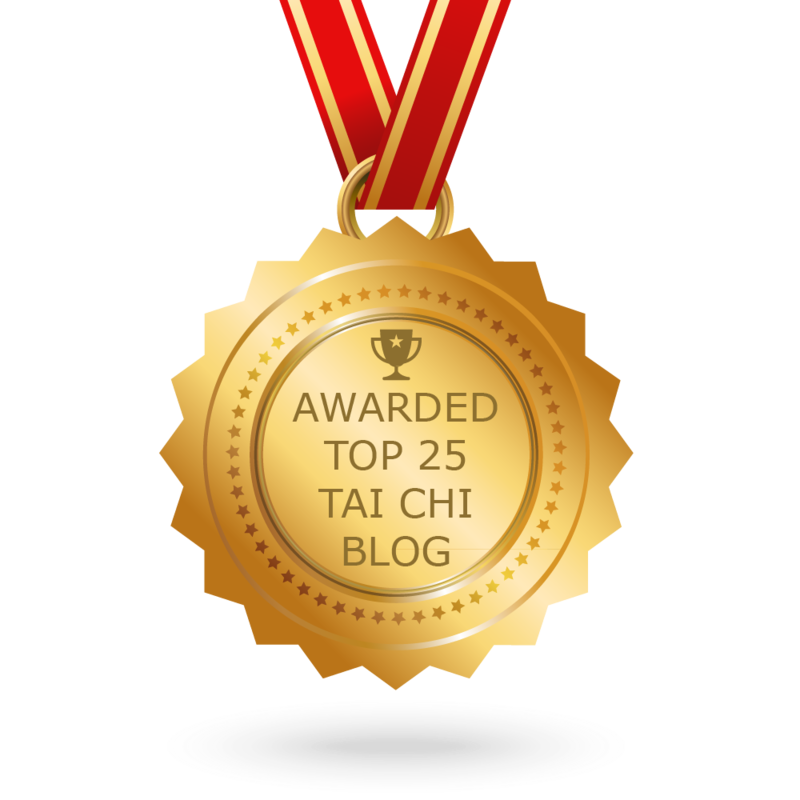 Eva Marie Koepsell tells me that Master Stephen Hwa "says that it was the tai chi that influenced (his teacher Young Wabu) and Young Wabu's skill in healing...,,he was taught the healing skills after he learned tai chi.....so it might have been a synergy of knowledge and practice." I stated to Master Hwa that "Young Wabu and he alone, seems to have saved what he learned from (Wu jian quan/Wu chien chuan) intact to pass on. Rather than watering it down to make it palatable to a mass audience, I think he not only kept it, but kept it like a "gold standard". I then asked him his opinion and what he thought of my statement. To which he responded: "Jim: Yes my teacher is the one who saves the Wu tai chi , and the Yang tai chi also. No one in the Yang family has this art left." Thank you everyone and in this year of the goat, beginning of the lunar year and the promise of spring...may you have sunshine all around you.